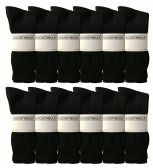 Mens Sports Crew Socks, Wholesale Bulk Pack Athletic Sock, King Size, by SOCKSNBULK (White, 13-16) at low wholesale prices. 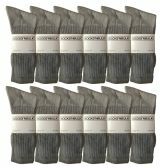 Socksinbulk.com offers Big And Tall Mens Crew Socks at bulk discounted prices. SOCKSNBULK branded crew socks are known to be a great product geared for basic every day casual wear. Our selection of crew socks are sized ranged from young children to plus size adults. Purchase wholesale socks in bulk for various reasons. Large house hold ? charity ? Organization give away ? shopping for wholesale socks will ensure your purchase was the most economical choice without jeopardizing quality. Wholesale sock deals offers the SOCKSNBULK branded crew socks in 3 color ways, White Black and Gray with a high cotton content gauge of 80%. Cotton socks last longer than synthetic material socks and wear better during the hot weather season. If your needing this purchase sooner than expected please be sure to e mail us via the amazon contact seller control panel to advise us of your needed date. This will ensure our staff will do our best to make this accommodation. 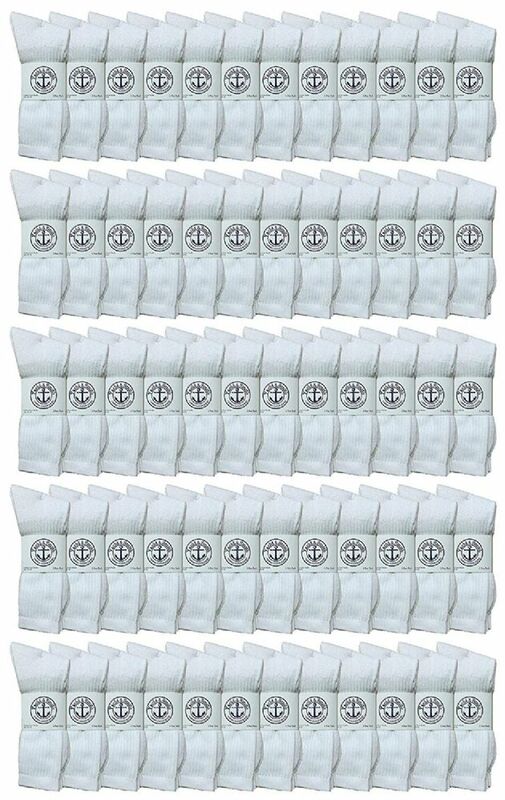 COTTON SOCKS: Here is what's in side 80% Cotton 15% Polyester 5% Spandex. Cotton socks are made from a cotton plant's seed pod so they are made of natural fibers. This allows socks to have breathability that prevents your feet from sweating or causing unwanted odors. Additionally cotton socks will dry 10 times faster than synthetic socks. Wear them and clean easily! SOCKSNBULK branded socks are also known to be soft with a seamless toe feature.